Delvas Salman is the Uncle of Noor Salman. He has lived in Rodeo California since 1971. He spoke of Noor with affection. When he recalled when she introduced Omar Mateen to the family he remembered saying to him, "I trust you with my niece." He got choked up with that memory and had to take a sip of water to recover his composure. 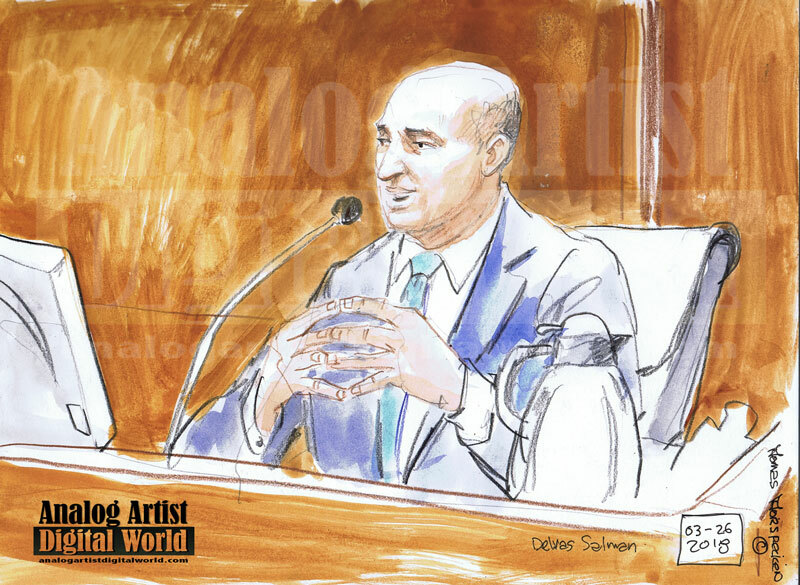 Most of Mr. Salman's testimony painted a picture of his niece as a simple and caring woman. Noor was in an arranged marriage with an abusive man before she married Omar. Mustafa Abasin is Omar Mateen's brother in law, married to Mateen’s sister. He was close to Noor Salman because he has children around the same age as her son. Since she didn't have a drivers license, he would sometimes drive her places. He said when he talked with her on the car rides it was more like having a conversation with a child. Noor would offer to watch his children and she refused to take money for the service. She just liked taking care of kids. When she and her son were escorted to the FBI offices to be interrogated, she didn't know she would be there as long as she was. She was interrogated for over 11 hours. Mustafa was the family member who drove to the FBI offices to pick up her son when he grew restless. Mustafa stopped inn back of the building and walked up to ring the bell. Her son was in a separate room from his mother. The FBI agent said, "She stays." Many hours later when Noor came to pick up her son at Mustafa's home, she was visibly upset. She was concerned about her son, fearing that she would loose him because of threads and implications from the FBI agents who spoke to her. 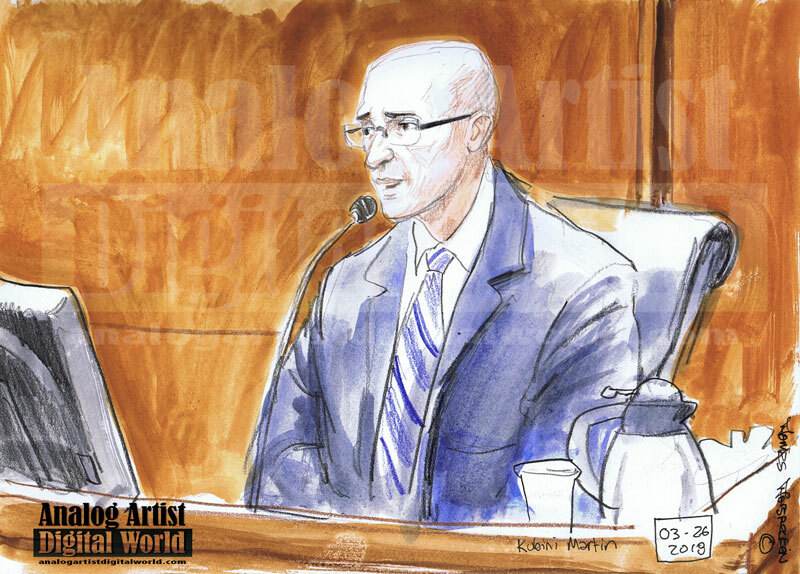 FBI Agent Kubini Martin was invited to the stand as a hostile witness by the defense. He was part of the original investigation team. He stated that Saddiqui Mateen, Omar's dad was an FBI informant from 2006 to 2016. As an informant it is kind of insane that he would have no idea of his son's obsession with ISIS and hisplanned violence of Jihad. Saddiqui claimed ties to Al Qaeda, a militant Sunni Islamist multi-national organization founded in 1988 by Osama bin Laden, as well as Hezbollah, a Shi'a Islamist political party and militant group based in Lebanon. The FBI launched its first assessment of Omar Mateen in 2013 after he had allegedly boasted to co-workers at G4S, a security company, that he had terrorist connections. The FBI reported that it had closed the investigation after Mateen told agents he made the comment to scare his co-workers, who were reportedly mocking his religion. One year after closing that first assessment, the FBI opened a second, spurred by Mateen’s relationship with Moner Mohammad Abusalha, a Florida man who became the first American suicide bomber in Syria. Mateen and Abusalha attended the same mosque on Florida’s Atlantic coast. The FBI, decided that Mateen’s contact with Abusalha was minimal, closed that assessment as well. The FBI considered turning the younger Mateen into an FBI informant after they investigated him in 2013 and 2014. 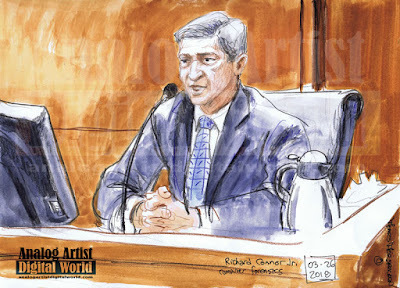 Noor was in the house for each of the interviews by the FBI. She served refreshments including a cake that the agent admitted was delicious. She left the first interview but was there for most of the last interview. Saddique Mateen showed up at that interview as well. The agent speculated about why Saddique had shown up. Had Noor called him? There is also speculation that the investigations might have been shut down because Saddique as an informant told them that they should not be concerned with the actions of his son. Joshua Horowitz is a cyber forensic consultant. 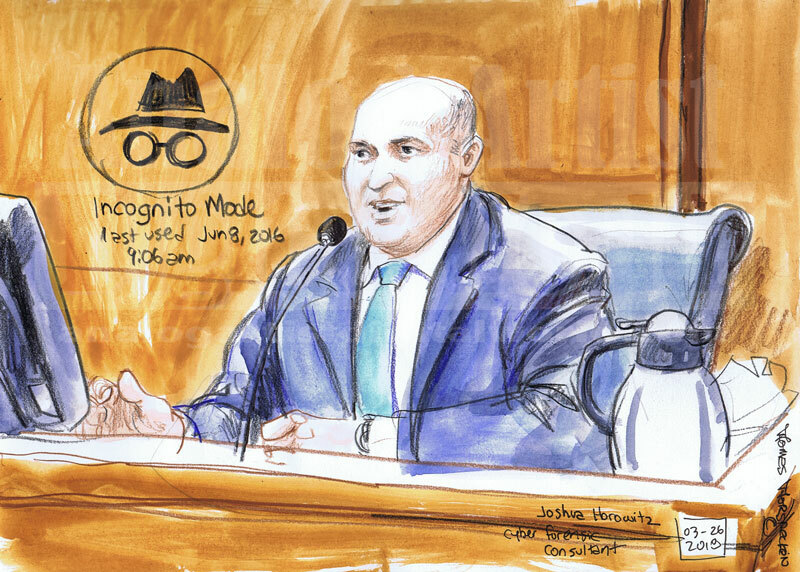 He described Incognito Mode, which allows users who don’t want Google Chrome to remember their activity, to browse the web privately. Omar Mateen last used incognito mode on June 6, 2016 at 9:06 AM. Most of Omar's searches of ISIS and other terrorist organizations however were done in plain sight. 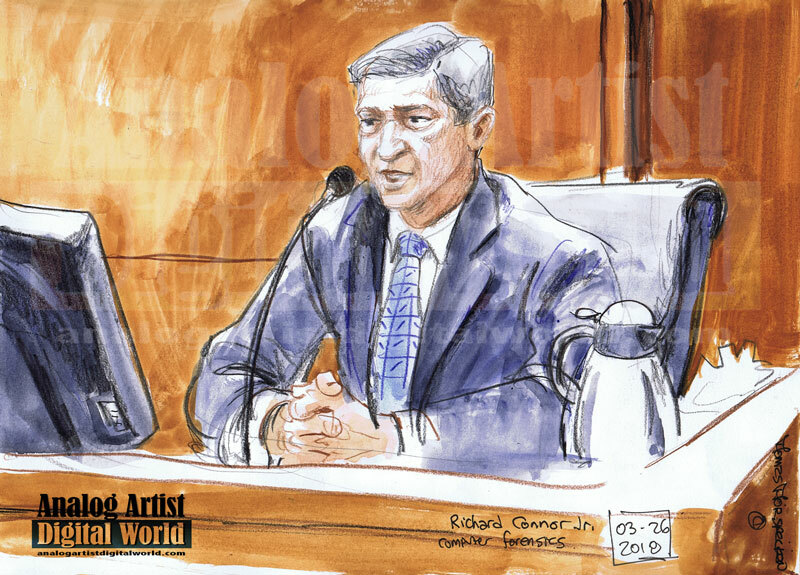 Noor Salman had confessed that on June 10, 2016, Omar showed her the Pulse website on his computer and said, "That is my target." 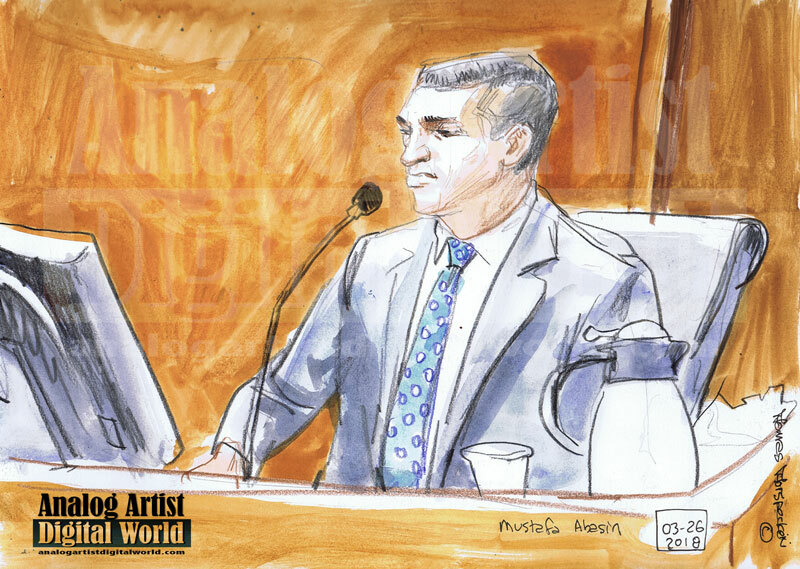 Joshua was tasked with looking at all the digital devices of Noor and Omar and he came to the conclusion that there is no evidence that Omar showed Noor the Pulse website on June 10th. He had 3 computers to review along with 4 cell phones and a tablet. Of those devices only a Dell computer and 2 Samsung phones were relevant to the case. The Dell computer had never visited the Pulse website. Incognito mode doesn't mask web traffic to sites IP addresses. He confirmed that the computer never accessed the Pulse website server. The two cell phone never accessed the Pulse website prior to June 12, 2016. Noor Salman's phone never visited the Pulse website. Around the time Noor claimed that Omar showed her the Pulse website, he was actually at work. Richard Connor has done digital forensics since 2006. He performed the forensics on the cell phones of Omar and Noor. He used cell phone tower information and google maps on Omar's phone to track his activities that night. Around 10 a.m. Omar went to Disney Springs. It is possible that this was his intended target that night. Video surveillance showed Omar walking alone through Disney Springs to House of Blues where he brought a t shirt which he later dis-guarded. There was a large police presence near House of Blues that night. Omar left and drove past Epcot. At 12:22 a.m. he searched for Orlando Nightclubs and he put Eve into his goggle maps to get directions too the downtown Orlando Club. Mateen got near EVE (110 South Orange Avenue) about 12:55 a.m. That club had significant security at the entrance and each guest is searched before they can enter. He did another search in Google for Orlando Nightclubs and found Pulse which he put into google maps. The exact audio directions in that female voice played in the courtroom for Omar's every move that night. He seemed to drive aimlessly around downtown Orlando and then he drove right past my downtown apartment building before turning south on Summerlin Avenue. He arrived at Pulse around 1:12 and 1:16 a.m. at Pulse, drove around a bit and then at 1:33 a.m. he did another Google search for Eve. He started to head in that direction at 1:34 a.m. but then turned around one minute later and went back to Pulse. He started ignoring the audio directions he was getting. At 2 a.m. he fired the first shots into helpless victims at the club who were dancing and celebrating after the evenings last call for drinks. The phone in his pocket was still giving him verbal directions as he killed 49 people.